Sometimes it's nice to have everything in one place! 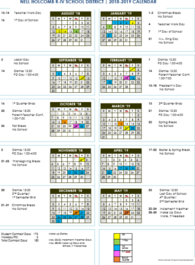 Here are all the end of school important events: Wednesday, April 10th – PTO Meeting in Cafeteria 7 pm Thursday, April 11 – JR High Band & Choir Spring Concert 7 pm Friday, April 12 – Mid QT Wednesday, April 17 – No School - Easter Break Begins Tuesday, . . . Scattered showers, mainly before 10pm. Cloudy during the early evening, then gradual clearing, with a low around 41. North northwest wind 14 to 16 mph, with gusts as high as 24 mph. Chance of precipitation is 40%. Sunny, with a high near 66. Breezy, with a north northwest wind 16 to 20 mph, with gusts as high as 33 mph. Clear, with a low around 43. Northwest wind 5 to 9 mph becoming calm in the evening.